On Tuesday, April 25th, 2017 at 6:30pm, join the Harvard Alumni Architecture and Urban Society and the Harvard Graduate School of Design Alumni Council, for a lecture and book reading of Paradoxes of Green: Landscapes of a City-State with Gareth Doherty. The reading will be followed by a reception with complimentary drinks and light snacks. This highly innovative book is a multidisciplinary study of green and its significance from multiple perspectives: aesthetic, architectural, environmental, political, and social. 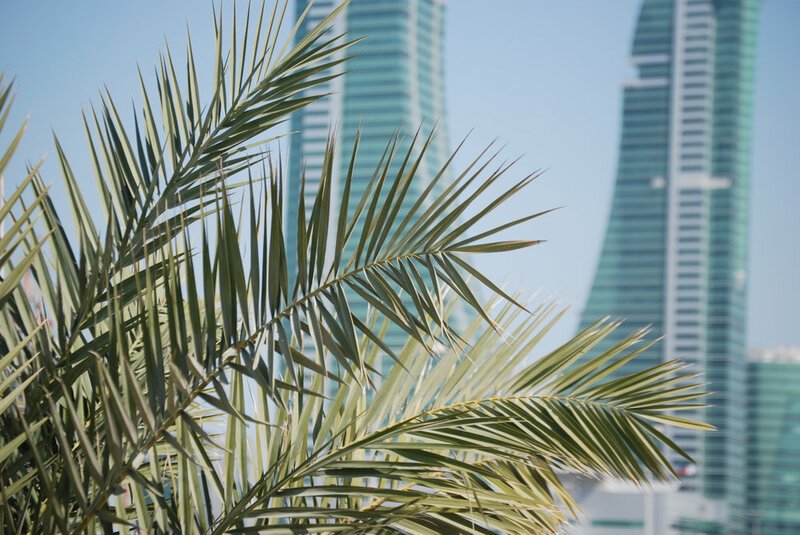 It is centered on the Kingdom of Bahrain, where green has a long and deep history of appearing cooling, productive, and prosperous—a radical contrast to the hot and hostile desert. As is the case with cities around the world, green is often celebrated as a counter to gray urban environments, yet green has not always been good for cities. To have the color green manifested in arid environments is often in direct conflict with “green” from an environmental point of view; this paradox is at the heart of the book. In arid environments such as Bahrain, this contradiction becomes extreme and even unsustainable. Based on long-term ethnographic fieldwork, Gareth Doherty explores the landscapes of Bahrain, where green represents a plethora of implicit human values and lives in dialectical tension with other culturally and environmentally significant colors and hues. Explicit in his book is the argument that concepts of color and object are mutually defining and thus a discussion about green becomes a discussion about the creation of space and place. "Doherty’s interdisciplinary range is breathtaking—essential to any consideration of color and its impact—and his deep knowledge of the region is impressive." "An utterly original, keenly observed ethnography." The reading will begin promptly at 6:30. The book reading will take place in the Grimshaw offices located at 637 West 27th street. The event space is located on the ground floor. Gareth Doherty is an Assistant Professor of Landscape Architecture and Senior Research Associate at Harvard University Graduate School of Design where he works on the relationships between landscape, anthropology, and design. Doherty’s publications include Ecological Urbanism, edited with Mohsen Mostafavi, (Lars Müller Publishers, 2010, and 2016), which has been translated into Chinese, Spanish, and Portuguese with Arabic and Persian editions in process; Is Landscape…? Essays on the Identity of Landscape, edited with Charles Waldheim (Routledge, 2016); and Doherty is a founding editor of the New Geographies journal and editor-in-chief of New Geographies 3: Urbanisms of Color. His latest book, Paradoxes of Green: Landscapes of a City-State is published by the University of California Press.